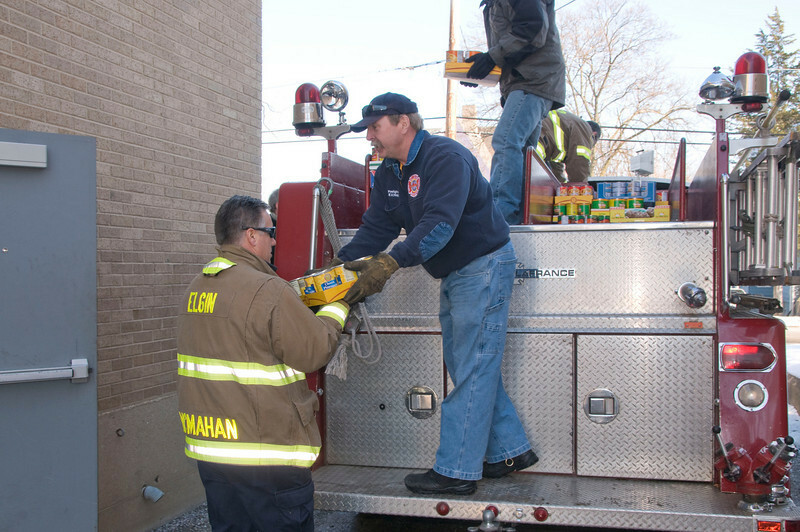 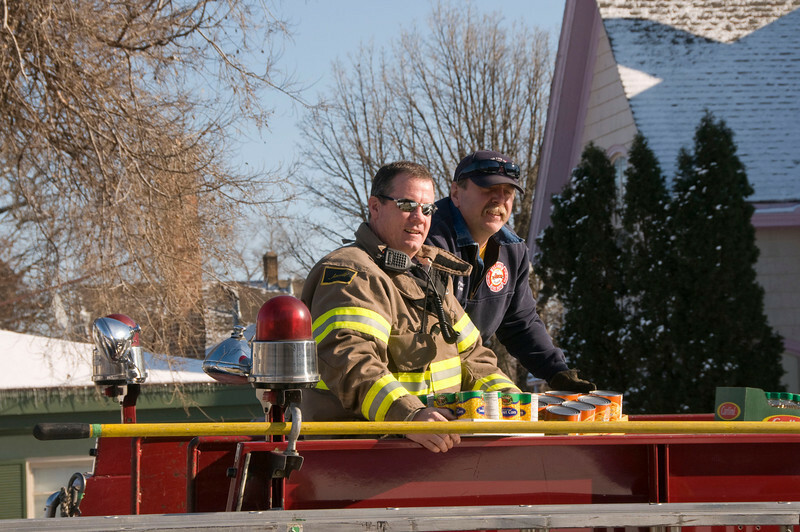 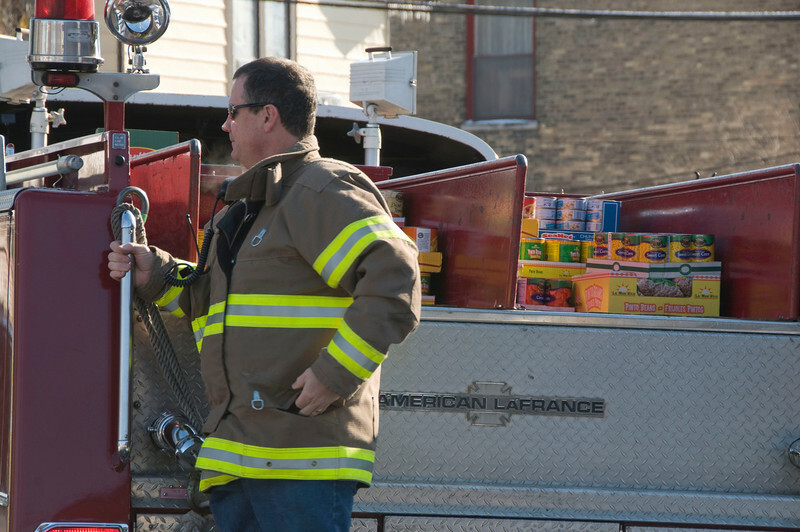 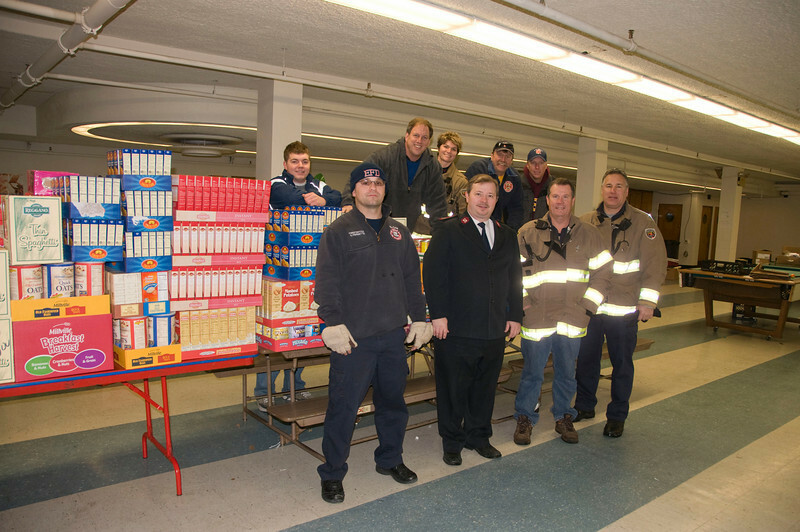 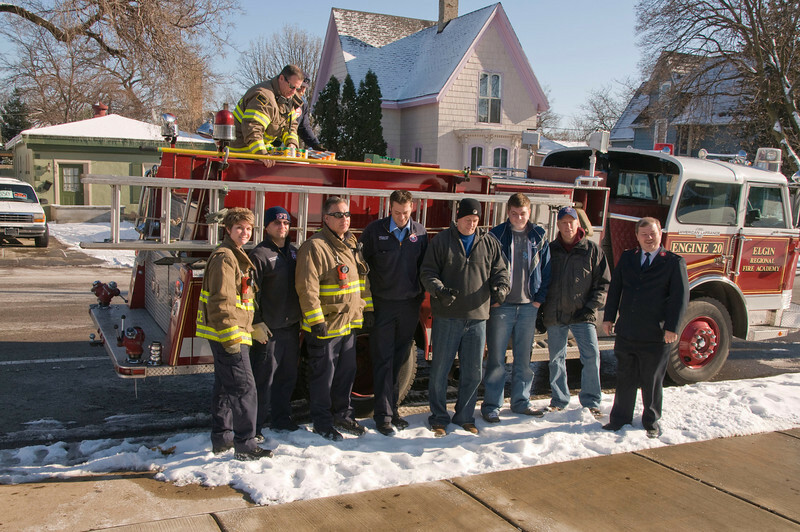 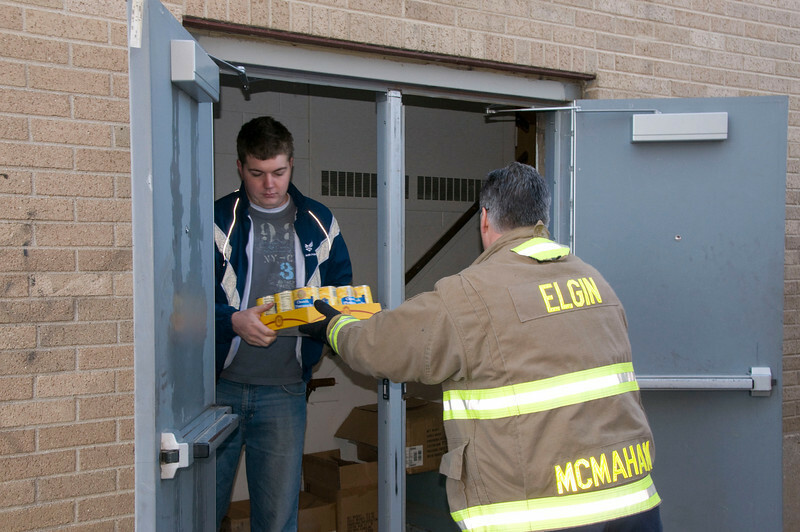 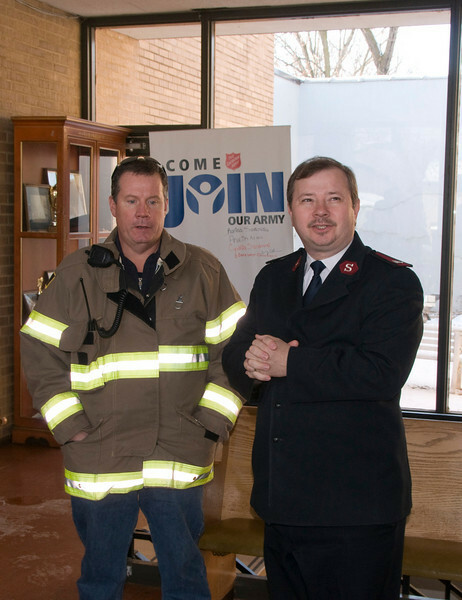 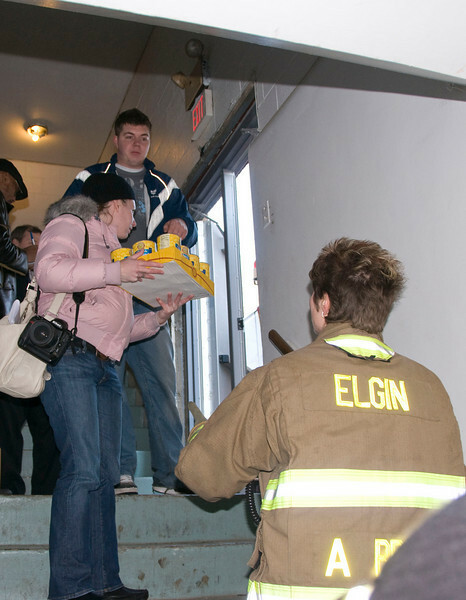 Elgin Firefighter's Local 439 help restock the local Salvation Army Food Shelves yesterday by delivering $1500.00 of food to the Elgin facility. 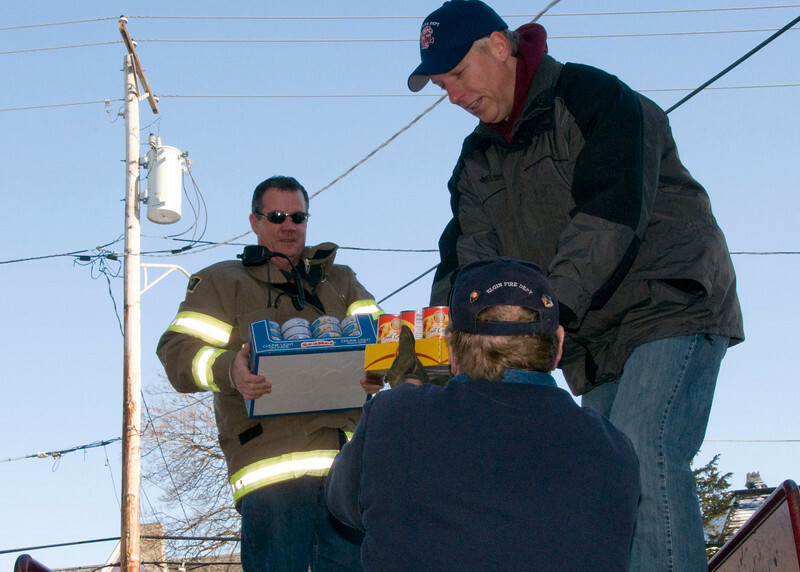 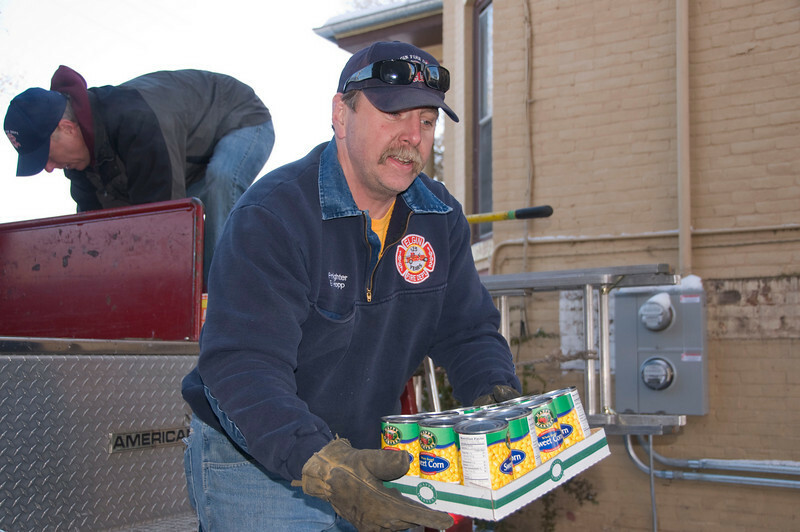 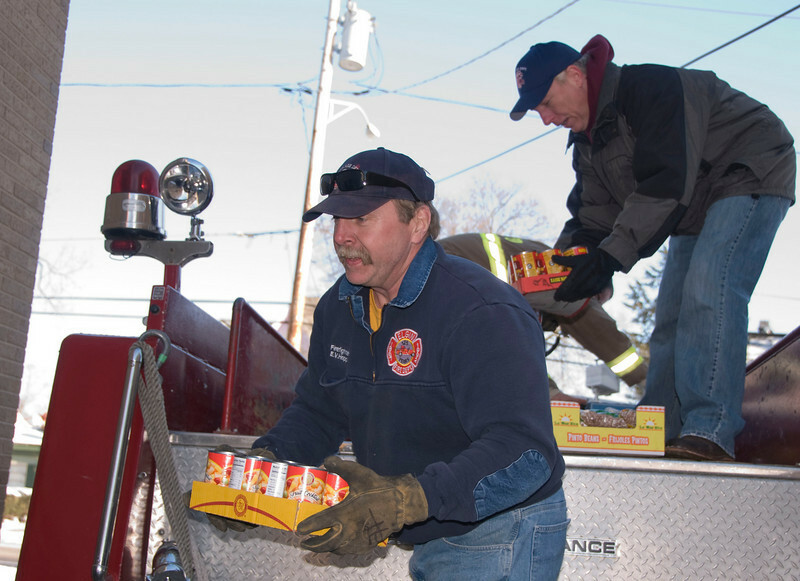 Firefighters with other volunteers then unloaded a Firetruck load, a full van, and 2 trucks worth of food to the shelter's basement and then to the storage area. 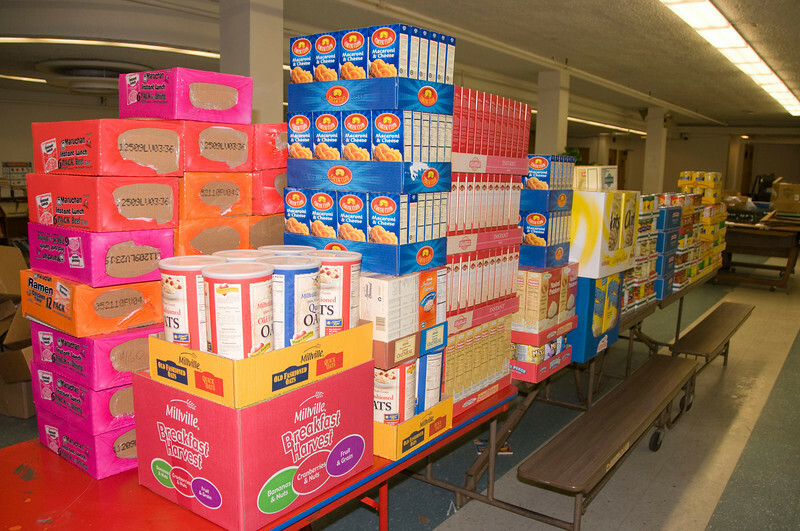 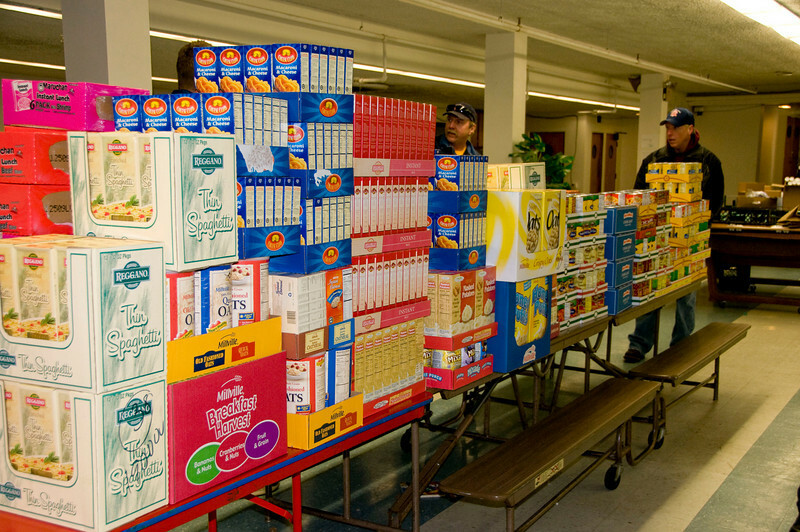 Courier News Photographer Marina Makropolis was there to shoot pics for the story and then ditched the camera to help unload the food.